Not sure if it happened to some of you, but it happened to me since I installed SL360. After I saved all the projects I worked on SL360, they always show SL2 logo. So, every time, if I want to reopen the saved project, I have to right click on the logo, then select "open with SL360". Very inconvenient. Do you have any idea how to fix it? Great question. Sounds like this has more to do with the default program you wish to designate. You should be able to right-click on one of these files and select the default program if you wish to shift this from SL2 to SL360. Thank you very much Leslie. I figured that out! But seems if I selected the default program as SL 360, seems all projects saved will show the logo with SL360. I used SL2 before which means some projects were developed in SL2. I thought if the project was developed in SL2, it should be saved as the logo showing SL2, if the project was developed in SL360, the logo should show SL360. If that is true, it is very straightforward and easy to tell when opening up the saved projects. But now seems all logos show SL360. Correct? Hi Phoebe - You are correct. 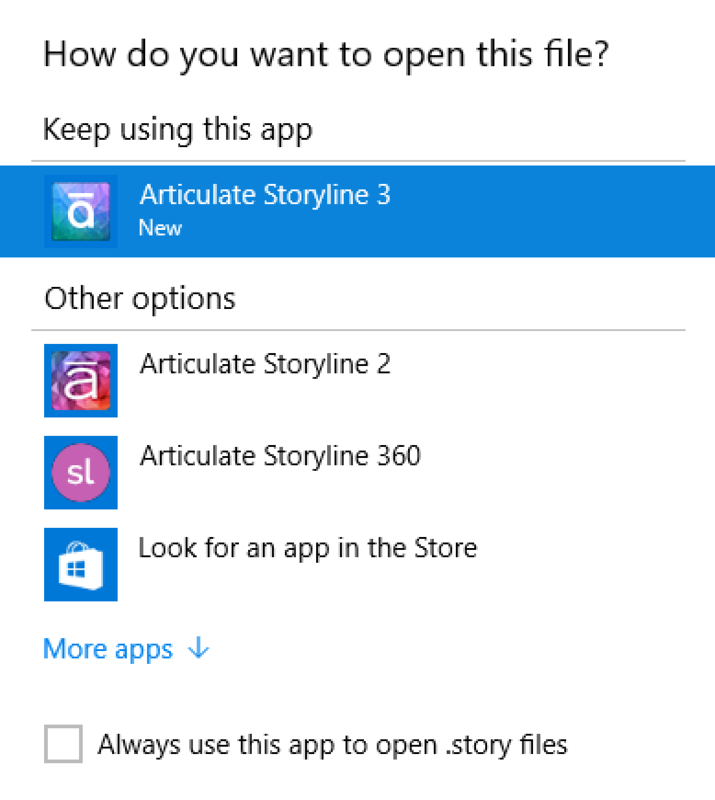 Your system will 'see' all of the files as .story file types and you are choosing the default for that file type. I understand it can look confusing when you know there are different programs and that they were developed in different programs. Fortunately, I only have SL2 and SL360 which is easy to switch between. "Hi Phoebe - You are correct. Your system will 'see' all of the file..."